This sign is for Bhaskar Lanterns. The sign’s colors are blue and white. 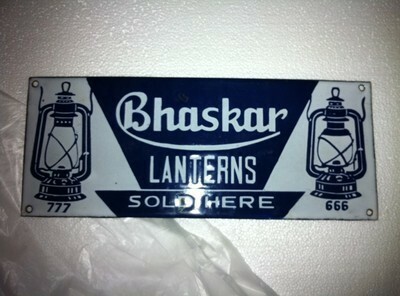 The text on the sign reads: Bhaskar Lanterns Sold Here 777 666. The sign shows two lanterns to either side and text in the center.